It may seem like, when it comes to data centers, all we talk about is energy efficiency. While this may be somewhat true, it is for a good reason. Data centers use A LOT of energy. Just how much? The New York Times provides more information about how much energy data centers are using and points to why energy efficiency is needed, “Worldwide, the digital warehouses use about 30 billion watts of electricity, roughly equivalent to the output of 30 nuclear power plants, according to estimates industry experts compiled for The Times. 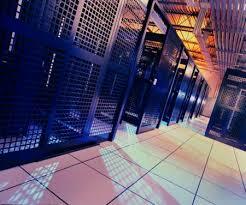 Data centers in the United States account for one-quarter to one-third of that load, the estimates show. “It’s staggering for most people, even people in the industry, to understand the numbers, the sheer size of these systems,” said Peter Gross, who helped design hundreds of data centers. “A single data center can take more power than a medium-size town.” That description is truly astonishing and as technology evolves data usage is only growing. But, the way data centers use energy is something that can be controlled and more and more data centers are looking at every possible option to improve energy efficiency. It can be easy to theorize ways to improve energy efficiency but it seems that often so many ideas remain theories. And, if energy efficiency measures do get discussed the road to implementation is frequently long. For existing data centers the focus must be on improving PUE (power usage effectiveness). A complete audit of existing infrastructure is necessary to develop a proper DCIM plan and begin to implement continuous monitoring. With a complete picture of infrastructure you can locate areas in which energy is not efficiently being used and either eliminate that infrastructure, replace that infrastructure or find better ways to improve efficiency through other methods such as improved cooling. More and more we see data centers relocating to climates in which it is easier to take advantage of cooler temperatures for a form of free data center cooling. If relocation is not a possibility there are other ways to work with your existing location and still use cooler weather to efficiently cool your data center when it is available. Additionally, by creating zones such as hot zones and cold zones or hot aisles and cold aisles you can take advantage of containment and focus your energy where it is needed without wasting it on other areas. Regardless of whether you are moving or retrofitting your data center, there are ways to improve energy efficiency that will not only be beneficial to the environment but will save a significant amount of money once implemented.